The chocolate chip cookie – it’s been a favourite of mine since my days of watching the Cookie Monster on Sesame Street and remains an all-too-frequent guilty pleasure. 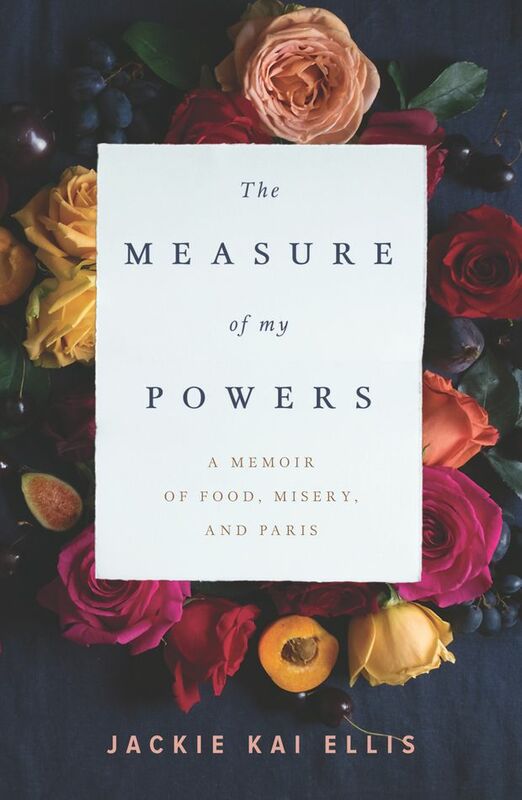 It’s also the name of the first chapter of Jackie Kai Ellis’s new book, The Measure of My Powers: A Memoir of Food, Misery and Paris. Kai Ellis is the founder of the popular Beaucoup Bakery & Café in Vancouver’s Fairview neighbourhood and the book is a tell-all of the challenges she faced during various points in her life – growing up in an academically focused family, attending art school, travelling throughout Italy, France and the Congo, and the bleakness of living with depression. The common thread is love, as she rises above her darkest moments in an unhappy marriage to a man she refers to as G, describing how she summoned the courage to battle her demons. It’s more Eat Slay Love than Eat Pray Love. Throughout her depression, one of the few things that made her smile was the cookie she would eat at a café after work, and Kai Ellis concludes the opening chapter with her recipe for chocolate chip cookies, a version that requires two types of chocolate fèves (not chips), as well as preparing your own vanilla Maldon salt. 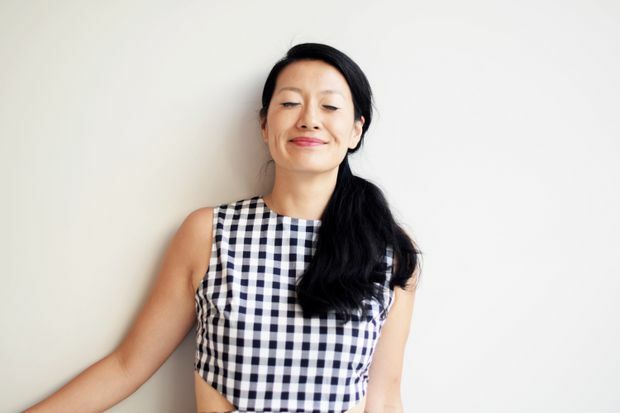 It provides the blueprint for her cookbook-meets-memoir hybrid, where the reader learns the story behind each of Kai Ellis’s recipes and is invited to explore her life not just passively through prose, but actively through cooking. “The stories guided the recipes, because I would naturally speak about the food in these stories,” Kai Ellis tells me over the phone from her home in Vancouver. “But there were some stories where they were just one and you couldn’t divide them. So for example, the chocolate chip cookie really is just one story and recipe. You can’t split those two things up.” This intimacy is reflected in the writing, which is open, raw and honest. In life, Kai Ellis has embraced her vulnerability and this new-found ease with herself is carried through to her stories, tender and authentic tales of a woman coming into her own. The book gets its name from The Gastronomical Me, a 1929 book in which food writer M.F.K. Fisher chronicles her culinary adventures in France, naming 11 of its chapters “The Measure of My Powers.” It’s a format that paved the way for food blogs, and one that Kai Ellis adopts, with each chapter standing on its own as a vignette punctuated by a recipe. 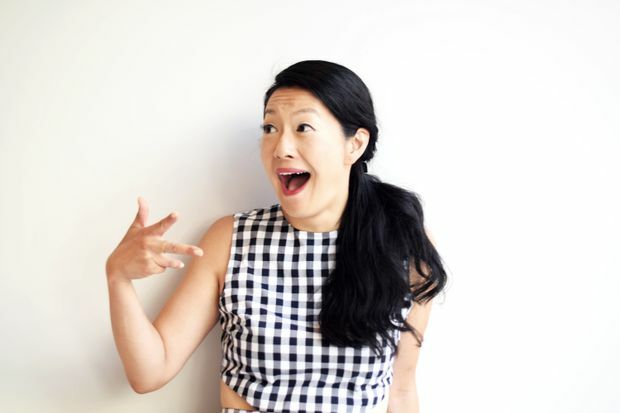 There’s “Pork and Chive Dumplings,” where Kai Ellis reminisces about a childhood spent cooking with her grandmother. “Food was so huge in the family. The core of who we were as a family was just that we communicated through food, so if we didn’t have that language, how would we talk?” she says. Then there’s “‘Good’ Granola,” where Kai Ellis recalls her eating disorder, a time when she limited herself to 1,000 calories a day. Perhaps the most figuratively bittersweet entry is the chapter called “Letting Go” and its recipe for Mexican wedding cookies. They were a favourite of G’s, and this is the chapter where their marriage ends after seven years of what comes across as true misery. “To me, if G were one thing, he would be Mexican wedding cookies,” she says before tipping me off that this is the easiest dish to make. I decided to see for myself what a pastry chef meant by “easy” and tackled this recipe one weekend. Not only were they easy to make, but they turned out great, crunchy without being hard and sweet without being saccharine. I’d consider them the cookie version of an afternoon coffee cake. Ultimately, The Measure of My Powers sits firmly in the memoir category, appealing to food and story lovers alike. You certainly don’t need to set foot in a kitchen to appreciate Kai Ellis’s personal journey, although I would at the very least recommend visiting Beaucoup. Kai Ellis sold the café last year and its new owners have brought back the original chocolate chip cookies in celebration of the book. They’re delicious, as are the croissants. Caitlin Agnew is a Toronto writer and regular Globe and Mail contributor.